Fast growing in popularity timber orangeries from High Performance Windows are a wonderful addition to a home or commercial premises creating a spacious, airy room which is appealing and usable all year round. 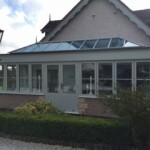 During warmer weather, our timber orangeries’ glazed roofs allow in maximum levels of daylight and ventilation, whilst their solid pillars give the feeling of a room which is comfortable and inviting even during cold, wet conditions. All orangeries from High Performance Windows are completely bespoke, and can be offered in a variety of traditional or sleek contemporary designs to suit both your house and your personal requirements. Our orangeries are highly customisable, and provide a fantastic hosting space for guests and family, radiating modern, contemporary living. We can offer you a range of associated building services or will be happy to liaise with your appointed Contractor. 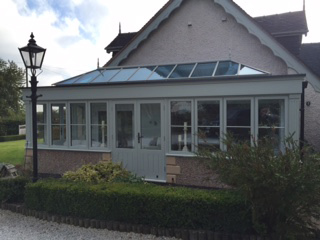 For greater security and efficiency, our orangeries incorporate toughened, energy efficient glazing units to give you peace of mind and contribute to lower energy costs. In addition, High Performance Windows can also install our timber orangeries with blue and grey tinted glass for increased privacy and greater control over levels of ambient light, whilst those looking for low levels of maintenance can benefit from our self-cleaning glazing options. Lantern roofs from High Performance Windows are able to transform a living space into an area which is light, airy and beautiful. 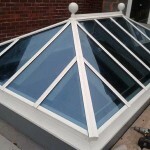 Our roof lanterns are manufactured by our skilled craftsmen working with the finest materials. 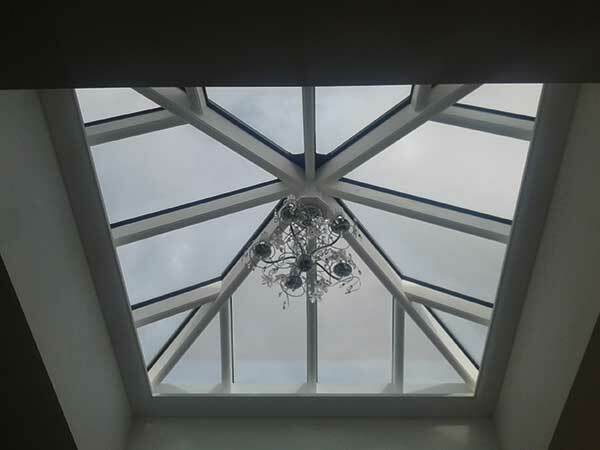 We can manufacture and install bespoke roof lanterns in almost any home with an existing flat roof, where structural considerations are met, making for the ultimate eye catching feature to your home. The external elements of our Lanterns are capped in powder coated aluminium extrusion and can be supplied with a range of optional cappings and finials. 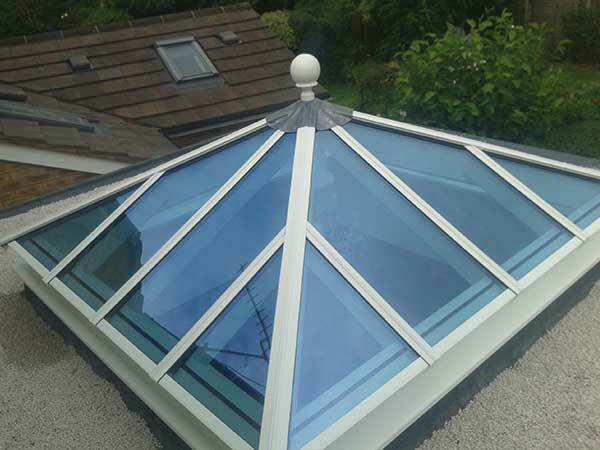 A bespoke roof lantern fitted by our highly experienced team of installers not only enhances your home’s aesthetics, but also increases levels of natural light and ventilation. In addition to offering a full installation service we offer a manufacture and supply only basis and Trade enquiries are welcome. High Performance Windows are confident that any Trade customers selecting us for their projects would be more than satisfied with our workmanship and professionalism. 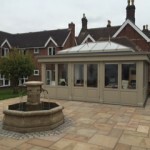 Not only can we install roof lanterns on existing flat roofs, but we’re also able to manufacture bespoke roof lanterns for orangeries and newly built extensions – adding an extra sense of space, light and theatre to your living spaces. 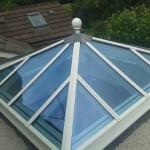 Roof lanterns and roof lights from High Performance Windows are all made to measure. Our team of expert joiners are able to cater for virtually any requirements, meaning that we’re able to work with any designs you may have in mind. All of our roof lanterns can be manufactured with a range of finishes to suit your home. 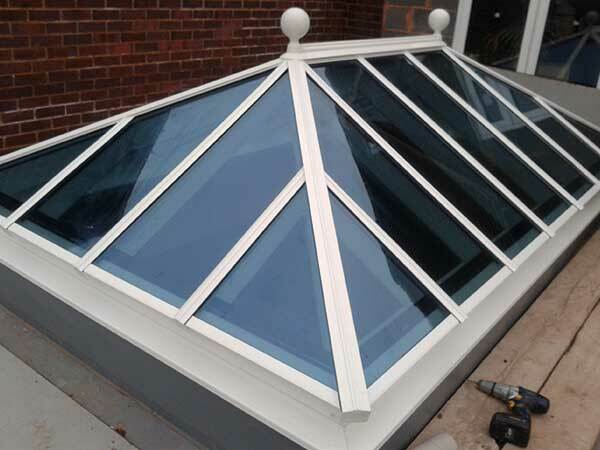 Whether you live in a period property or a modern new build home, we’re able to finish your roof lantern in a range of colours and woodgrains to suit any property. 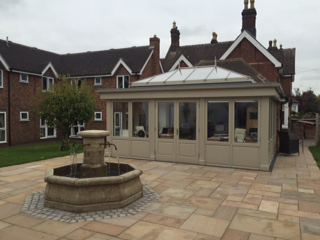 Where possible, we’ll also try to match your roof lantern as closely as possible with any existing joinery items. 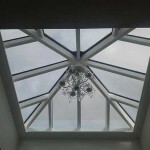 Why choose roof lanterns from High Performance Windows? Visit our dedicated Accoya site for more information.